While in Greece, I had the opportunity to visit the oldest known olive oil tree in the world. It was such an amazing experience! It was so big that I could not put my arms around its trunk. 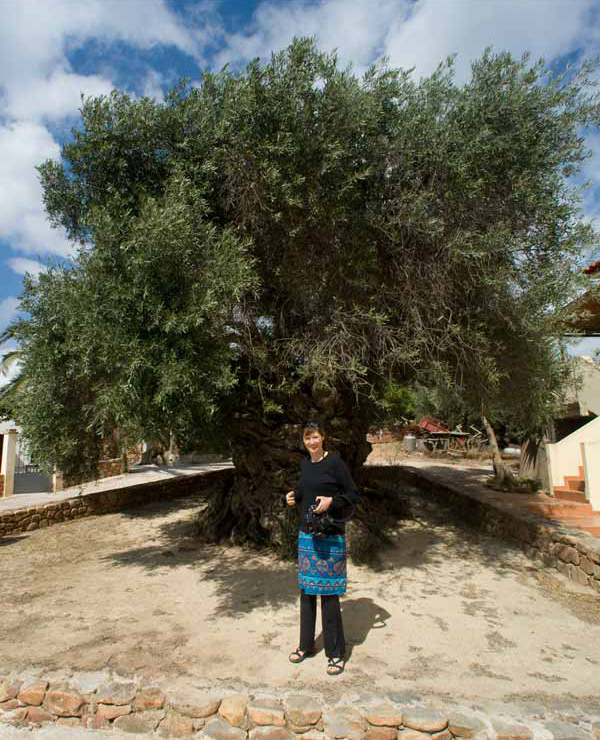 Most olive trees can live over 500 years; this one is over an astounding 3000 years old! Did you know that 25 kg of olive oil per year is consumed in Greece per capita, compared to 5 kg per capita in North America? Did you know that a full 1/4 of the Island of Crete is covered with olive trees? I had such a magical time tasting the amazing food firsthand that was happily swimming in this liquid gold. This made me think about, Slippery Business, the most daring investigative report on the olive oil industry as first reported by Tom Mueller in New Yorker Magazine. Mueller went on to write the book Extra Virginity, an exhaustive study of the underbelly of the olive oil business. "For millennia, fresh olive oil has been one of life's necessities-not just as food but also as medicine, a beauty aid, and a vital element of religious ritual. Today's researchers are continuing to confirm the remarkable, life-giving properties of true extra-virgin, and "extra-virgin Italian" has become the highest standard of quality. But what if this symbol of purity has become deeply corrupt? Starting with an explosive article in The New Yorker, Tom Mueller has become the world's expert on olive oil and olive oil fraud-a story of globalization, deception, and crime in the food industry from ancient times to the present, and a powerful indictment of today's lax protections against fake and even toxic food products in the United States. A rich and deliciously readable narrative, Extra Virginity is also an inspiring account of the artisanal producers, chemical analysts, chefs, and food activists who are defending the extraordinary oils that truly deserve the name 'extra-virgin.'" Many 'olive oils' on the market are, in fact, a bit of olive oil with a variety of rancid vegetable oils mixed in. This type of oil is highly processed, toxic and should not be consumed. What can you do about fake olive oil? Buy organic Olive Oil. If you can afford organic, make the investment because these companies must have paperwork to track their Olive Oil from field to table. If you organic Olive Oil is currently beyond your budget, get to know someone who is in touch with an integral farmer in Europe. I paid a visit to Acropolis Olive Farm in Crete, Greece. For generations, the Acropolis Organics family has carried on the legacy of their ancestors, producing some of the purest, most delicious Olive Oil (both organic and bio-dynamic) "vintages" in the world. Each bottle is packaged with the utmost care and labelled with its pressing date. Panagiotis Tsiriotakis brought his generations-old family tradition of Olive Oil-making to the Canadian market in 2003 and their product is available in many fine food stores. Get to know what Olive Oil really tastes like. Light Olive Oil is not Olive Oil. Real Extra Virgin Olive Oil has a taste of pepperiness and fruitiness. If you can’t taste the olives, you most likely have cheap, deodorized oil (soy or canola with some green colourant added). Buy Olive Oil packed in dark glass. The real stuff degrades in heat and light so, please, avoid the clear plastic bottles that could be leaching plastic into your next meal! Check out this infographic published by the New York Times which illustrates Olive Oil fraud in Italy. Share this blog! Tell your friends about Olive Oil fraud! 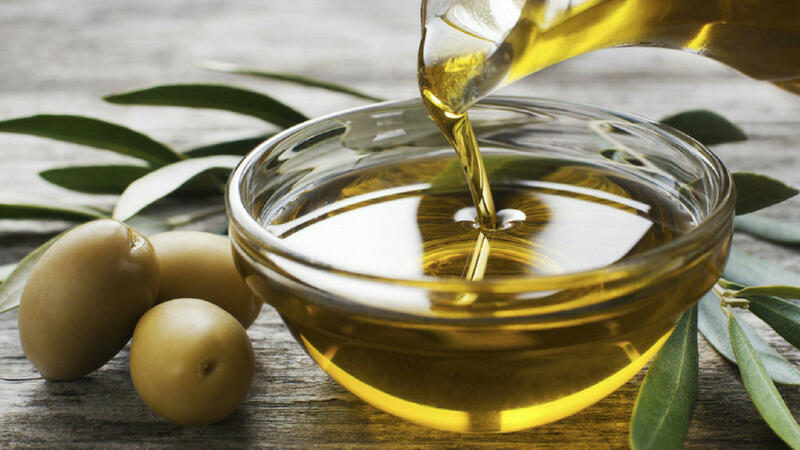 I encourage you to add Olive Oil and other good-quality, healthy oils to your diet because the health of your body depend on high-quality, natural, good fats. For more information about the benefits of olives, click here. For a free, healthy, Olive Oil salad dressing recipe, click here.